Totalcontent | bagging a new Tesco brief. Home » blog » bagging a new Tesco brief. At the end of August, Tesco stopped selling ‘one-use’ 5p plastic bags. It was a brave, bold move designed to reduce litter and the number of bags sent to landfill. Although the UK supermarket chain has given out 1.5 billion fewer bags since the introduction of the carrier bag charge in England in 2015, it was still selling over 700 million each year. Now these have been replaced by a new range of ‘Bags for Life’, made from 94% recycled plastic. The new bags are priced at 10p, and all sales go towards community projects across Britain. And we were delighted that one of our lines made it on to a new ‘Tesco Bag For Life’. 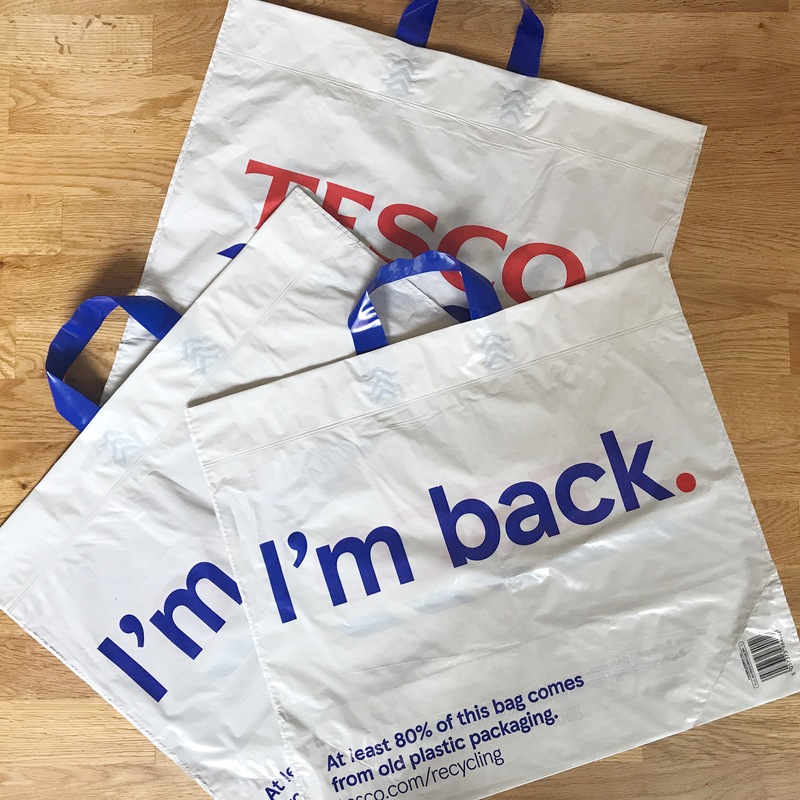 Short and sweet, with a slight nod to ‘The Terminator’, ‘I’m back’ highlights the bags’ former life as plastic packaging materials, and the fact that it will be returning to shop time and time again. It’s designed in Tesco’s new bold, pared back branding style, and reflects its human, down-to-earth tone of voice. Thinking about it, this simple line will probably be seen by more people than any other we’ve written. And that includes plenty for national newspapers.